Joan is experienced in advising on various issues involving capital market and securities law. She has been involved in various corporate exercises involving listing and other equity capital raising exercises on Bursa Malaysia and other stock exchanges, exchange-traded funds, REITs and other collective investment schemes. Joan is also experienced in advising and assisted on various corporate transactions involving joint ventures, take-overs and mergers of public companies and acquisitions and sales of private companies and businesses. Joan joined the firm as an Associate in 2008. 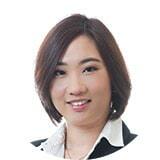 Prior to joining the firm, she spent 2 years at a Malaysian boutique corporate law firm.